Online retailers are bracing themselves for higher delivery costs as the Post Office faces a series of nationwide strikes. Major retailers, including John Lewis and Amazon, are putting plans in place to switch to other delivery services if the strikes go ahead. But they face significantly higher costs. A package that costs £1.90 to post through Royal Mail would cost £4.80 by Parcel Force, a 153% increase, according to a study by the Centre for Economics and Business Research. A postal strike lasting five to ten days will cost online retailers an estimated £220m, the study commissioned by price comparison site Kelkoo reveals. Online outdoor equipment supplier Webtogs said it planned to switch delivery to Parcel Force or FedEx if the strike goes ahead. "This is going to seriously impact our bottom line," said Gareth Jones, customer services manager at Webtogs. "But our primary concern is not to let our customers down. We are going to bite the bullet by sourcing to other suppliers." John Lewis said it has contingency plans to use other deliver services if the strike goes ahead. "We move parcels around our carrier network to use the most appropriate carrier based on service, available capacity and price. 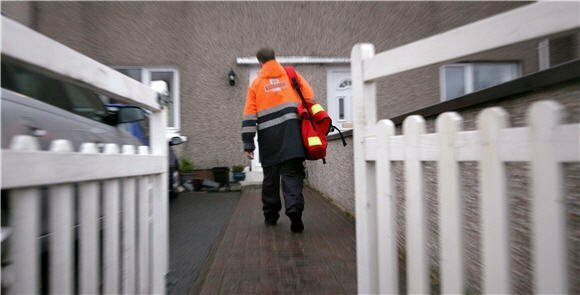 If Royal Mail is striking, we will not put any parcels through them," said a spokesperson. The company said it also offers a next-day "deliver to store for collection" service using John Lewis's fleet of vehicles. The Interactive Media in Retail Group (IMRG), which represents online retailers, said the strike was undermining the work of Royal Mail to engage with digital retailers. "With mail volumes diminishing, you might expect he postal union to appreciate the huge opportunity that the e-retail industry is trying to give Royal Mail - large volumes of new business," said IMRG CEO Jim Roper. Bruce Fair, managing director of Kelkoo, said, "The timing of the strike beggars belief. In one fell swoop it threatens to bring the postal network to a standstill, spoil the beginnings of the retail sector's financial recovery, increase prices for cash-strapped consumers and cause a further backlog." IMRG is advising internet shoppers to look for the IDIS (Internet Delivery is Safe) Trustmark on retail websites.